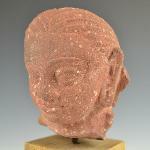 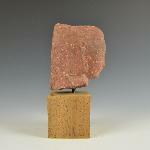 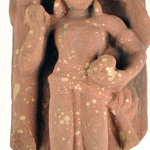 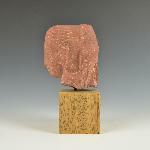 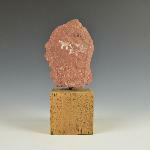 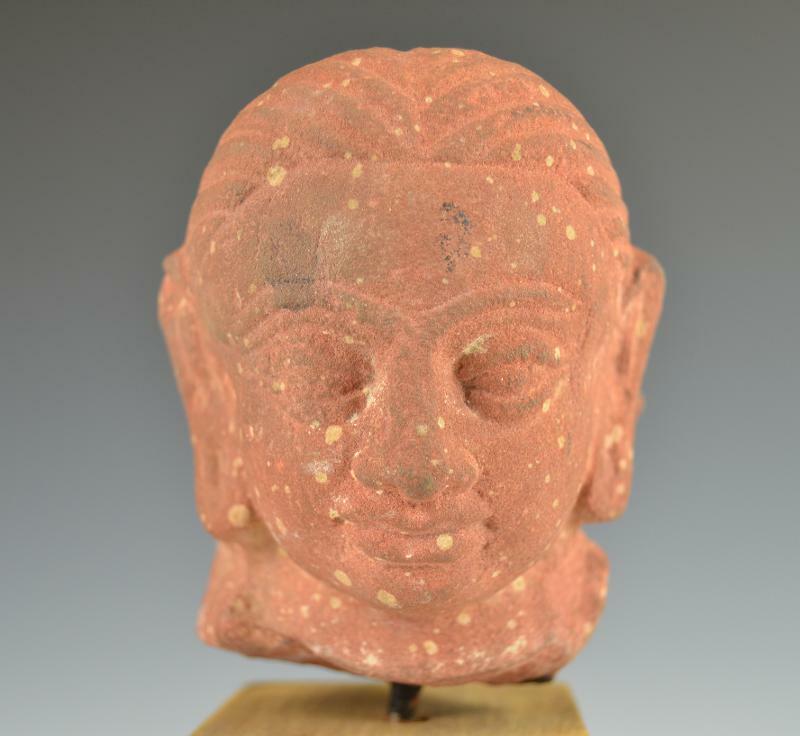 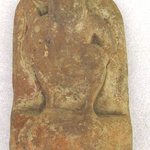 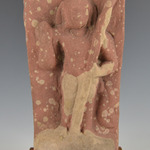 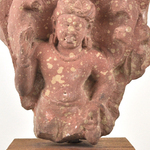 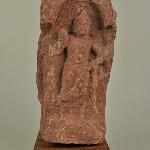 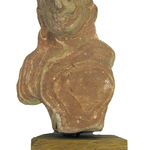 Detached head of mottled red Mathura sandstone with traces of gesso over the face and hair. 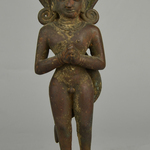 Plain head with hair parted in middle and drawn diagonally back; large ears. 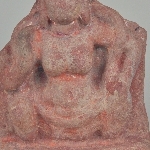 Evidence of a flat halo behind the head.